Visit Young at Heart at booths 242, 243 & 244! Print this coupon to save $1, plus $1 will be donated right back to Young at Heart when you use it! Win-win! 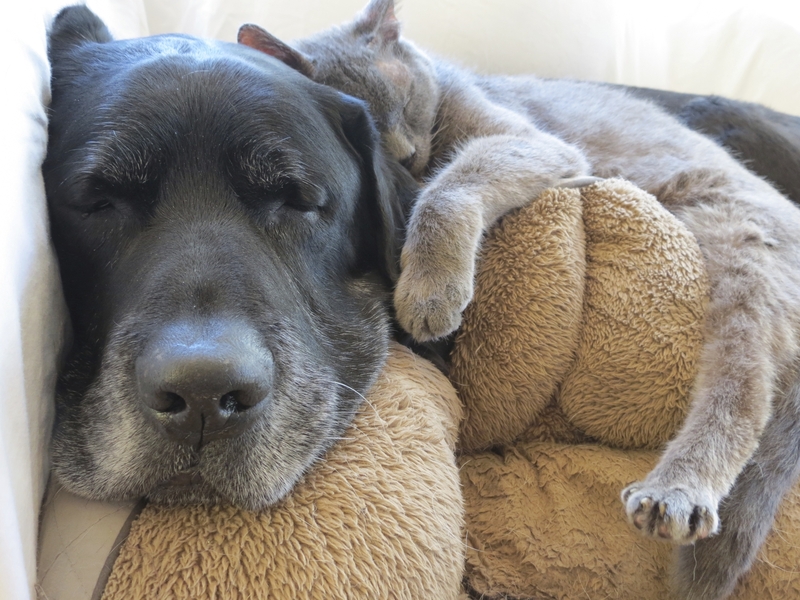 Come see Young at Heart and meet some of our adoptable dogs, buy NEW logo gear like beanies and sweats, and "adopt" a plush dog or cat to help us reach our fundraising goal to build our adoption center for senior pets! 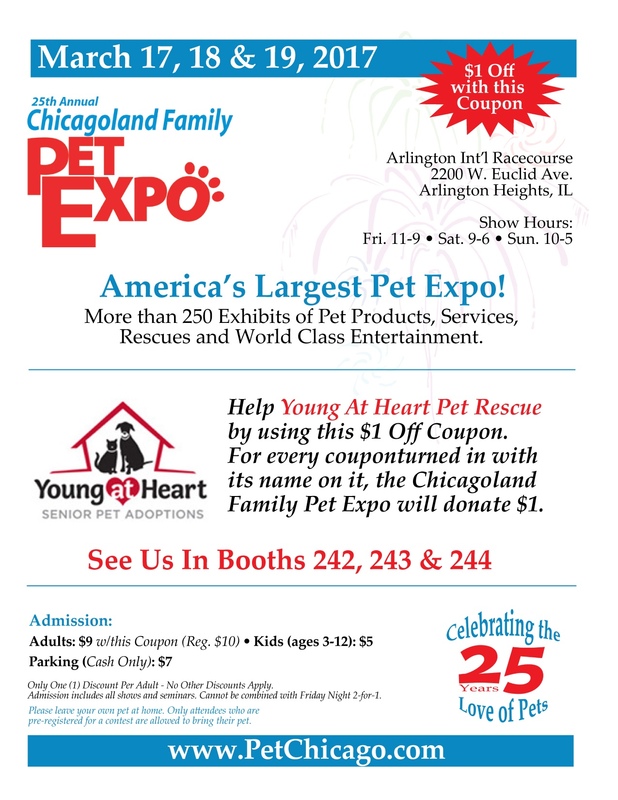 The Chicagoland Family Pet Expo is an unbeatable, one-stop venue for pet products and services! Tower Show Productions is proud to present the 25th Annual Chicagoland Family Pet Expo at Arlington International Racecourse, rain or shine, March 17, 18 & 19, 2017, in Arlington Heights, IL. The Chicagoland Family Pet Expo is set to deliver top-quality entertainment, demonstrations, presentations and the latest products and services for pet owners and pet enthusiasts. Please leave your personal pets at home!